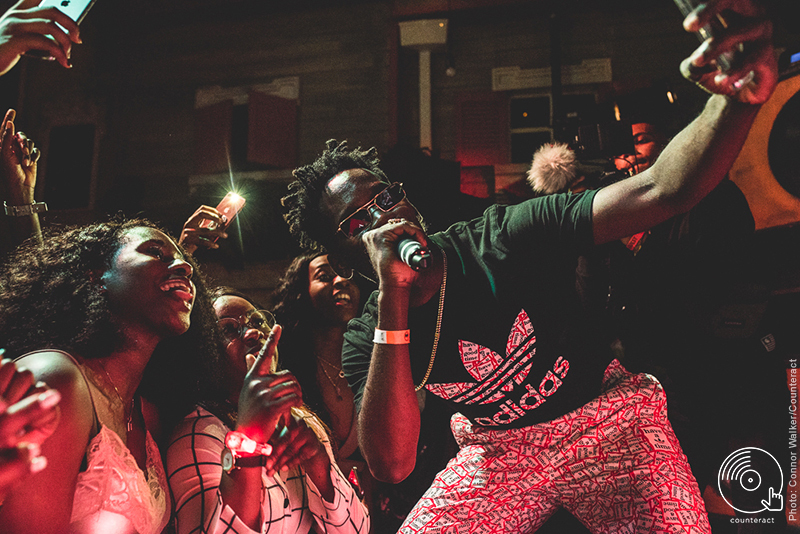 Afrobeats legends Mr Eazi and Afro B partied with the audience at Mama Roux’s in Digbeth on 25th October, at an exclusive event hosted by CASA BACARDÍ. Tonight’s event is brought to us by CASA BACARDÍ and Mama Roux’s has been set up for the occasion. There’s a pair of neon wings on the wall underneath a neon BACARDÍ sign and drinks are served in BACARDÍ cups that light up when you pour in one of the many rum cocktails on offer. While tonight’s event is as much about the brand as it is about the music, it’s all in aid of reducing the use of single use straws with all proceeds donated to the Lonely Whale Foundation. Timma T is this evening’s opening act. The Birmingham DJ and producer is slowly building up a following after featuring on RINSE FM. He’s a master of rhythm and toys with the crowd by playing extended intros and samples of well known songs like Beenie Man’s ‘Tear Off Mi Garment’, better known for being sampled on Drake’s hit single ‘Controlla’. He steadily builds up energy for the night ahead, and a remix of Donae’o’s ‘Party Hard’ is a good indicator of what’s to come. The room gradually fills up during his hour long set and next up is P Montana. 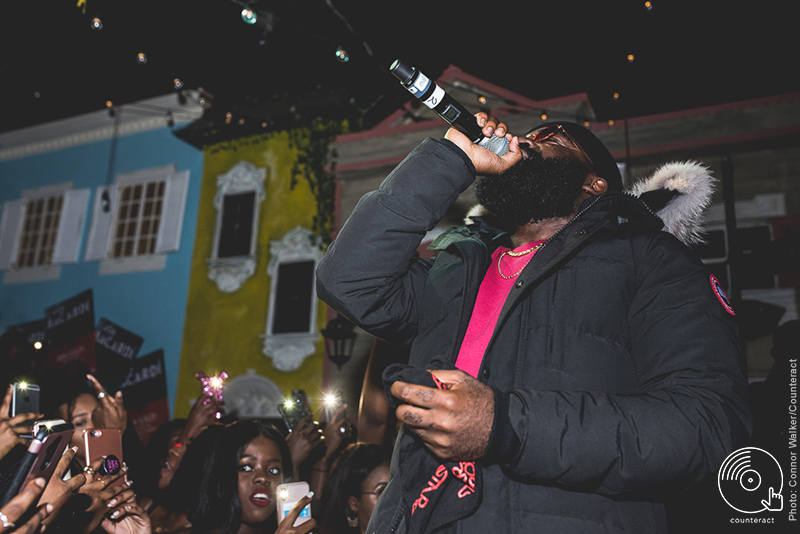 The East Londoner is well known for his love of Afrobeats and earlier this year he debuted on Radio 1 XTRA with an Afrobeats Takeover. His set is upbeat, vibrant and fun. 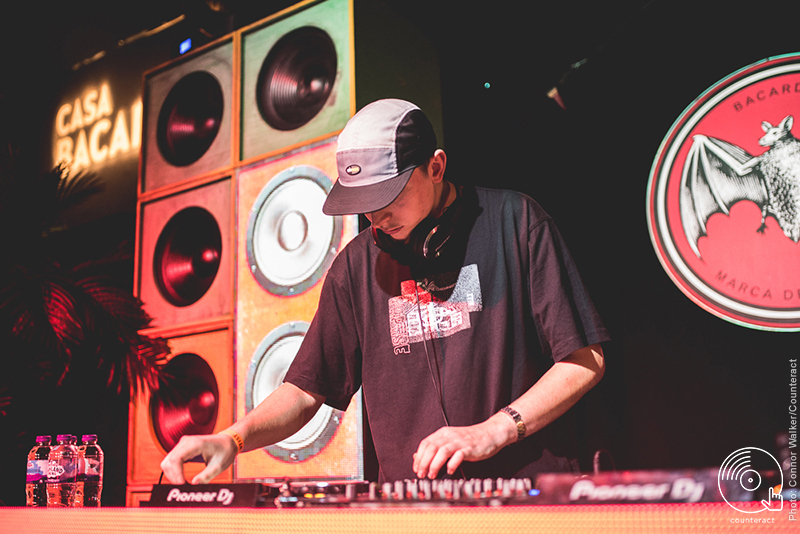 He plays a mix of African music, grime and old school classics like Ggyptian’s ‘Hold Yuh’. “It’s ya boy Eazi” our headliner announces as he leaps to the stage. 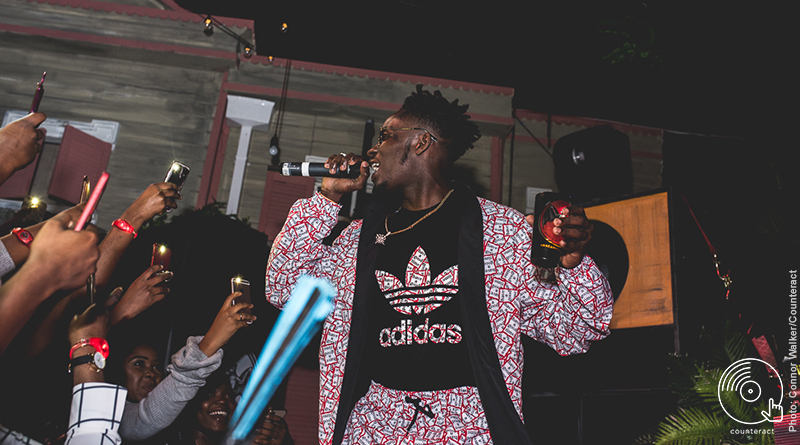 Mr Eazi joins P Montana to screams and shouts from the audience. Rather than a quick switchover, they share the stage and the decks for a couple of songs. It’s immediately obvious that they’re used to performing and making music together, and their energy is contagious. 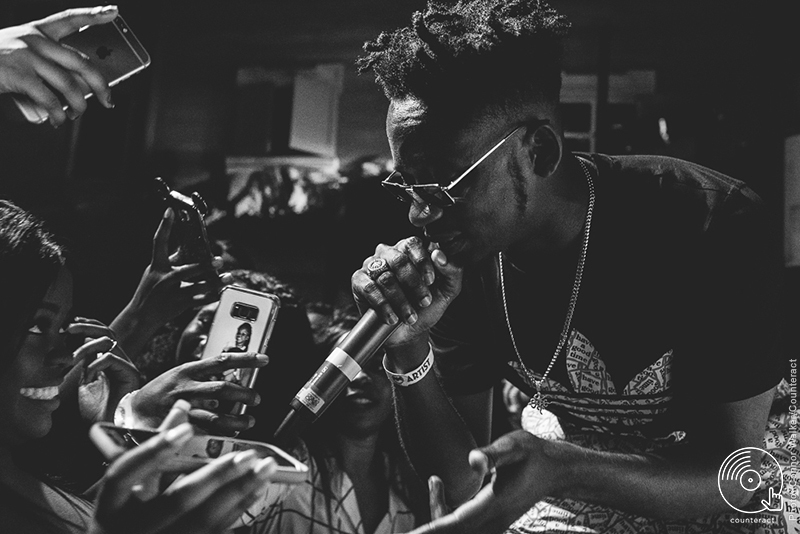 Mr Eazi is accompanied by DJ Naija Boy, who regularly DJs for Fuse ODG. Eazi has great back and forth with the audience, asking if anyone is from Jamaica or the Caribbean, and complimenting crowd on how good looking we all are. Well known singles ‘Leg Over’ and ‘Skintight’ have everyone singing along and it’s the kind of music that you can’t help but move to. Afro B, also from London, joins Eazi on stage in a massive puffer jacket. For his song ‘Drogba (Johanna)’ he asks if there’s anyone in the room called Johanna. A girl is pushed forward by her friends and invited on stage to everyone chanting ‘Johanna’ and she’s having the time of her life. The night ends way too early. 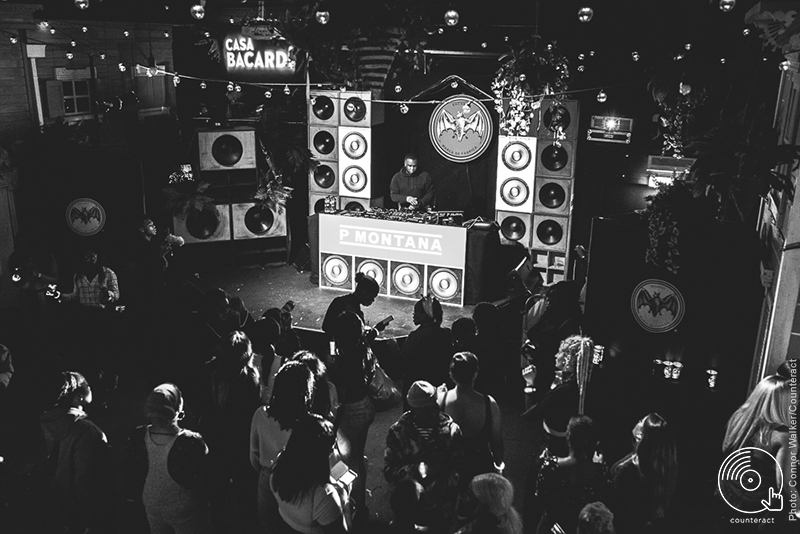 It’s been an amazing mix of Afrobeat, RnB and grime that makes for a fantastic party.